This was the first organized competition at the new disc golf course currently under construction at Freedom Center in Lucketts. It’s time for another LoCo Monthly, this Saturday, April 22nd! All skill-levels welcome! Ace Pot, CTPs, and cash and/or prizes for all divisions! As always, ladies play for FREE! Registration starts at 8:30AM, at the Rotary Pavilion near hole 10, followed by a quick players meeting at 9:15. 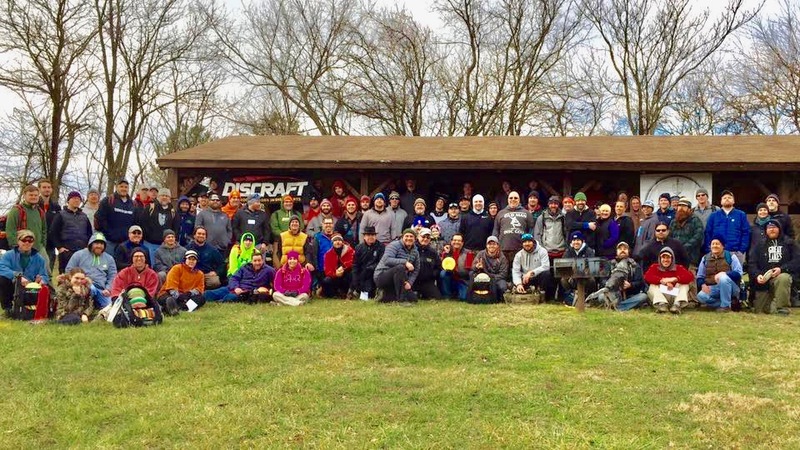 Franklin Park in Purcellville, VA will once again play host to the 6th annual LoCo Ice Bowl and Chili Cook-off sponsored by LoCo Disc Golf to benefit Loudoun Hunger Relief. Last year we raised over $5,000.00 for Loudoun Hunger Relief and we’re raising the bar in 2017 to $6,000.00. Let’s do this! All skill-levels welcome and there will be cash and prizes for all divisions. Women play for FREE! Check in between 8:30-9:00 at the Rotary Pavilion near Hole 10. * Ratings are guidelines and unrated players will be placed in the appropriate division based on experience level and past results. Divisions may be consolidated based on attendance.